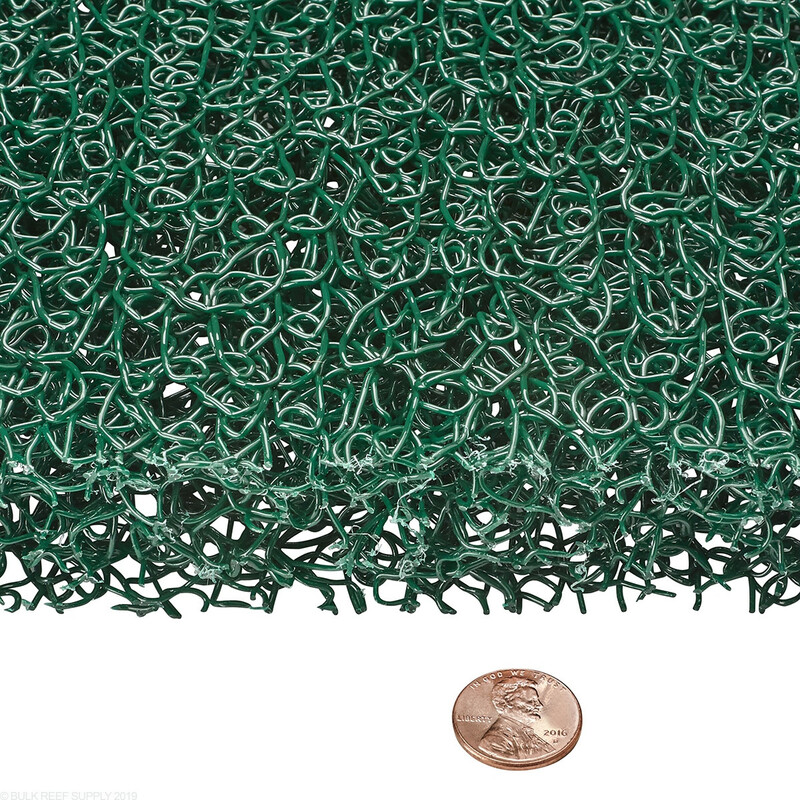 Progressive density mesh mechanical filtration system can be used as a system or separately. Aquamesh #2 is great for almost all filtration applications from capturing free floating detritus to removing microbubbles. Aquamesh #2 and #3 are the most common used. Dimensions:19.5" x 24" x 1.5"
The Aquamesh progressive filter pads are great for pre-filtration in sumps. 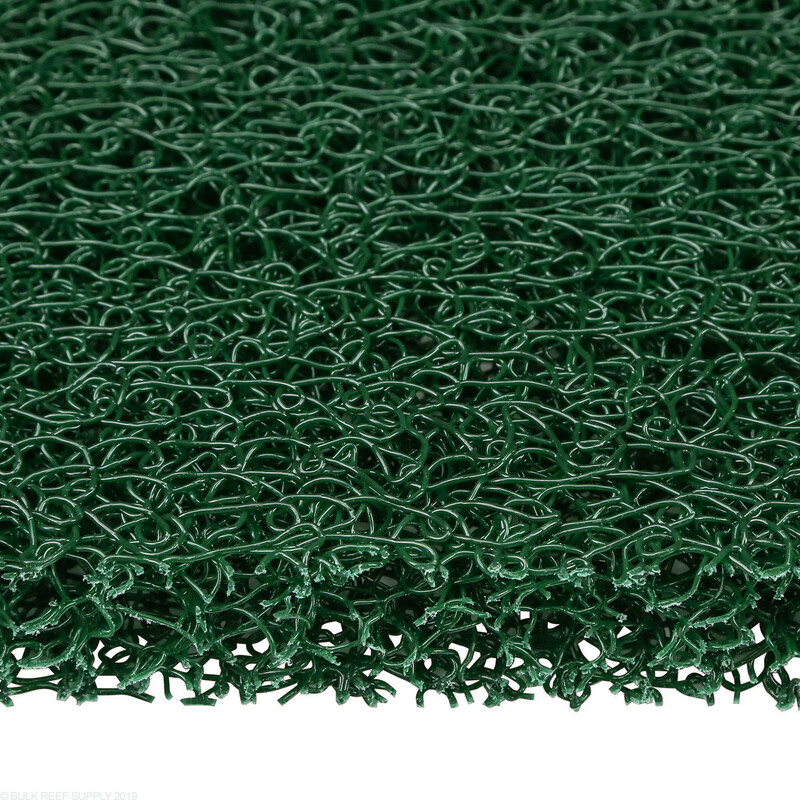 They have a very rigid design that will not collapse like traditional filter floss. The Progressive pads come in 4 different densities that can be ran in succession for long term use, or just a single pad can be ran as well depending on what your system needs. The stiffness of the pads makes cleaning very easy to be used over and over again. No complaints whatsoever about these aquamats (I have both the Green and Blue). They're great at both managing materials moving through my sump, either keeping things in, or out. I also use the pads to keep my skimmer at the right water height. Super easy to cut with a knife, and the material doesn't break or crack when you do cut (so less mess). Also expecting that they'll be a great breeding ground for pods in my sump. 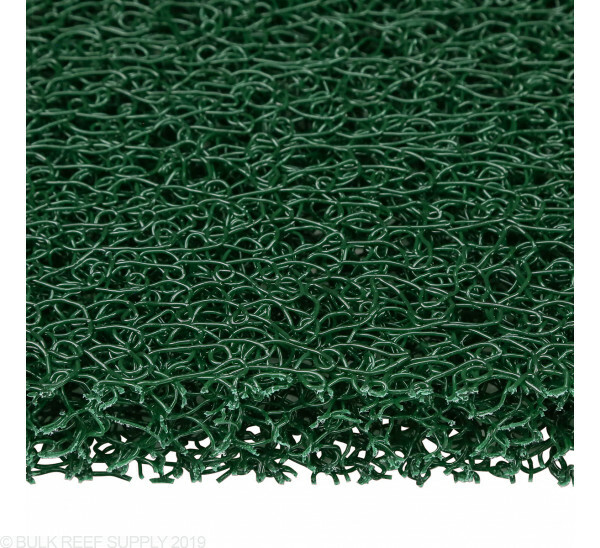 Great filter for a refugium. 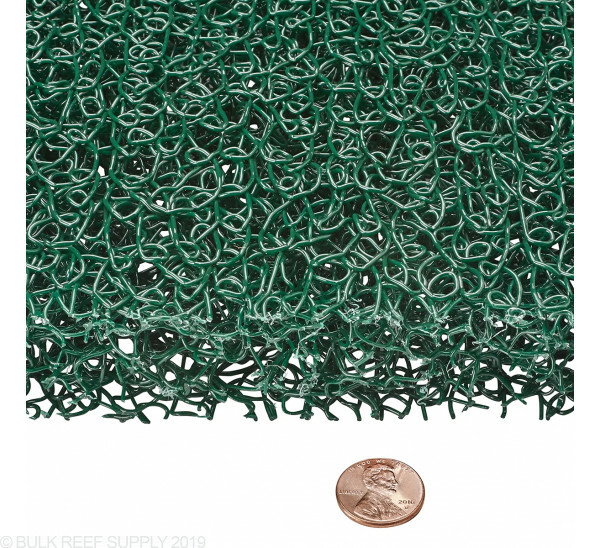 I bought one of these, cut it in half and trimmed a tiny bit off the side, made two perfect size filters for my 40B sump that are each 12" high. I am useing this stuff to keep chaeto out of my skimmer and return pump. I like how the holes are large enough to let pods through with ease, yet it is thick enough that chaeto doesn't seem to be able to make it through, even most of the little pieces that break off. It is also firm enough that it can hold itself up if you wedge it in between walls. It was easy for me to cut with a sharp knife. 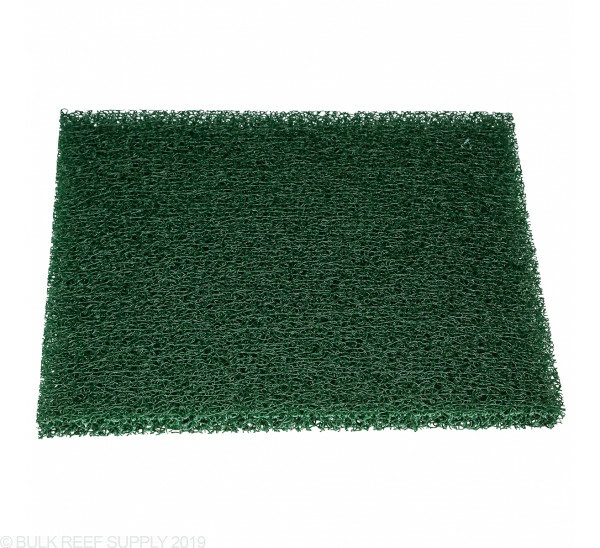 I've used these mats on several tanks in different uses, from full on filtration mats on wet/dry trickle filters, to micro bubble and macro algae stoppers between sump areas. 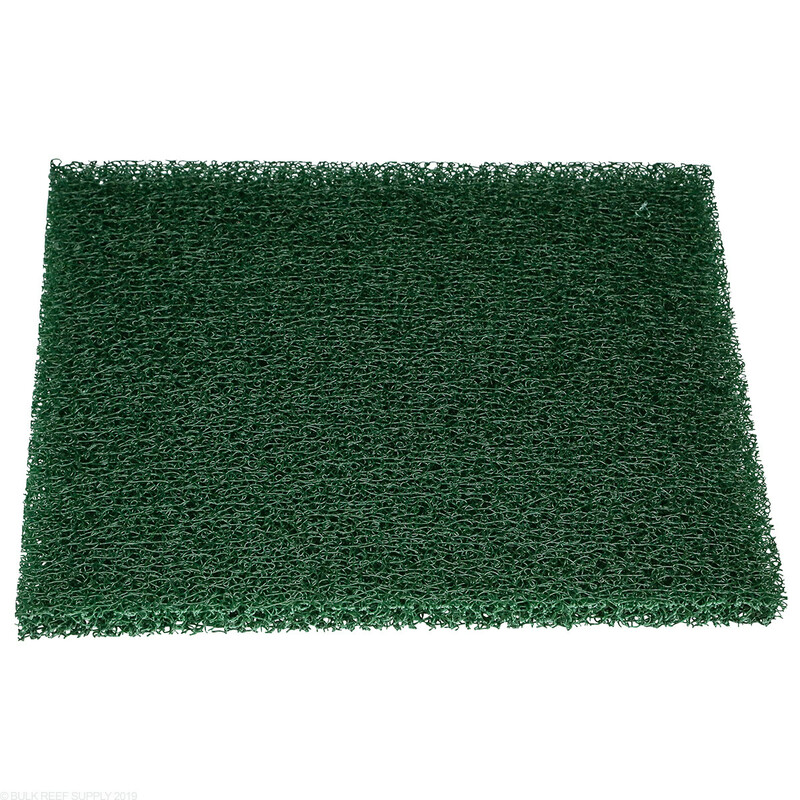 It has never broken down over years of use and cleaning unlike foam pads, and is available in varying coarseness. Grey is closest to filter pads FYI. It is tougher to cut, so a bandsaw or handsaw work best.